Each year, millions of people send money to Surat and elsewhere in India. They do so safely and easily using one of the many available money transfer services. Sending money home to India is so popular that India has the highest remittances in the world at US$27 Billion per year. Most of the money sent to India comes from non-resident Indian (NRI) expats who send money back home to family and friends. Other money is sent to Indian small businesses, freelance workers, and others in exchange for products and services. If you need to send money to Surat, India, this page outlines some of the most popular ways to transfer money - and recommends several reputable companies you might want to consider. Note that the services and companies described here are not necessarily appropriate for individuals needing to send large sums of money overseas - for instance, to buy a property, to make an investment, or to relocate your residence. 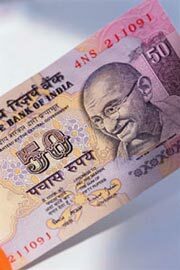 Click here for more information on India money transfers. There are a great many companies that can provide money transfer services to Surat, India for you. We recommend a few money transfer companies below for your convenience. These recommendations are based on a careful review of each company's qualifications, services, and pricing. If these firms do not meet your needs, you can easily find many other options via google. Xoom is a rapidly growing online money transfer agent with worldwide operations. They have extensive capabilities and reach in India, including direct deposit capabilities with all banks in India, a relationship with Punjab National Bank (PNB) for local pickup at over 2,000 locations countrywide, and local delivery via Blue Dart in many areas. Fees are very low for smaller amounts and larger money transfers are free. Xoom earns most of its money by charging a small exchange rate premium. Practically speaking, this means you pay a lower upfront fee than with, say, Western Union, but your recipient gets slightly fewer rupees. Total fees for Xoom are generally going to be somewhat lower than Western Union. Choosing the right money transfer company goes arm-in-arm with choosing the best money transfer method for your needs. There are many ways to transfer money to Surat, India. The options vary depending on the type of company you choose to handle your money transfer. There are also a few other money transfer methods described here. Email money transfer fees are generally paid by the recipient - which may be inappropriate in some transfer situations. Fees are usually charged as a percentage of the amount transferred. Charges are in the range of 2%-5% of the principal amount. There may also be an explicit currency exchange fee - typically in the 2%-3% range - and there may be certain per transaction fees, as well. You need to check with your provider for specifics. But as an example, we recently did a US$300 international transfer via PayPal and the fee was US$12. Using banks to handle your money transfers is probably the safest and most secure method. However, banks can also be relatively slower than some other means - and, depending on the bank, potentially more expensive. Note that many Indian banks, such as HDFC Bank, ICICI Bank, Axis Bank, and State Bank of India, among many others, have special banking services for non-resident Indians (NRI). These services often include discounted or free money transfer arrangements. Many go well beyond simple money transfers to include prepaid credit cards, joint credit cards, ATM access to your funds to authorized individuals, and so forth. These types of accounts, know as Rupee checking, savings, and other accounts, are well suited to NRI with on-going money transfer and payment needs. In addition to the above companies and methods, there are a handful of other options that are available from various companies. International money transfer - International money transfers are relatively less common nowadays, but are still available in some cases. For instance, the United States Postal Service will issue international money orders, but only for about 30 countries and for amounts of US$700 or less. India is not among the countries currently available. Western Union also issues money orders, but these are not really designed for international use. Prepaid credit card or debit card - While not particularly practical as a means for sending money to other people, various companies issue prepaid credit cards and debit cards in your own name for use during overseas travel. Such cards may be sold under names such as prepaid travel cards, and prepaid foreign currency cards. Such cards are available from certain Visa and Mastercard affiliates and from Travelex, among others. Prepaid gift card - You may be able to find a bank, credit card company, or retailer that issues prepaid gift cards in the currency of your recipient. However, most such cards, if available, are issued in currencies such as the US dollar or the Euro and so, are not likely to be of much use in sending money to India. Bill paying services - Another option in some cases is to pay bills on behalf of another party - e.g., mobile phones, electricity, and other utilities. However, while overseas bill paying services are fairly common (for instance, most major Indian banks operate bill paying services for NRI), they are generally designed for paying bills on accounts held in your own name. Setting these up to allow you to pay for services registered in another person's name may be more difficult and are probably only relevant for on-going payment situations. MIT Technology Review: Upwardly Mobile: An Indian startup thinks that the right software can make cheap phones a financial lifeline to hundreds of millions - informative article about mobile payments in India, including companies such as mChek, Obopay India, and ngpay.